I shot these photos on my other medium format rangefinder—a wide-angle 6x9 camera that gives you 8 exposures per roll. Despite this, I managed—once again—to get just a few photos that I was happy with. Part of this was just the weather. It was overcast and gloomy, making it difficult to get good contrast and proper lighting, which you can see with the meh photo of the Marine Corps Memorial. I was happy, however, with this photo of the cemetery proper. There's good tonality, helped along by the contrasty lens. 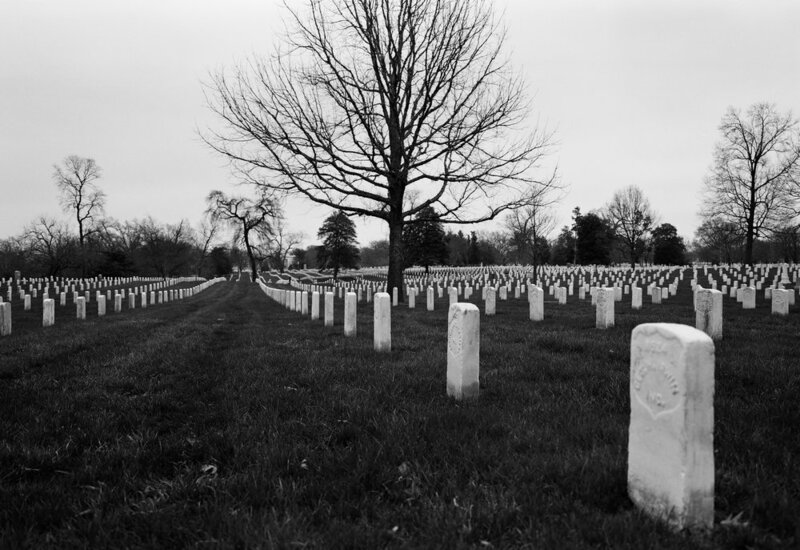 And the seemingly endless rows of graves, coupled with the distortion of the wide-angle lens, creates an interesting effect.